The US rig count may finally be bottoming out. Baker Hughes reported that the number of rigs pulled from the oil patch fell to just one for the week ending on May 22. 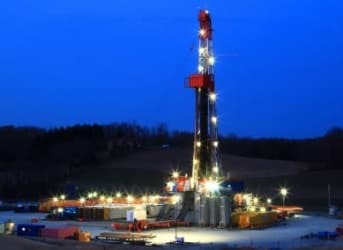 After several weeks in which the decline in rig counts have slowed, the posting of just one lost rig count for last week means that the US shale industry is potentially at an inflection point. It is possible that with oil prices having somewhat stabilized around $60 per barrel over the past month, oil companies that have breakeven costs on the lower end of the spectrum may think about adding rigs back to the field. Some of the better drillers out there can make money at $60 per barrel. Others may still go out of business. The trick for executives will be adding rigs at the right time. Oil prices are nothing if not volatile, and could enter another downturn at any moment. But if prices do in fact level off around $60 per barrel, we could enter a new phase of drilling. That will likely keep a lid on any further price gains as the markets anticipate a rise in drilling activity. If new sources of production come online in the next few months, stemming from new wells drilled, the markets may not tighten at all. In fact, some think that could send prices back into a tailspin, as a boom-bust cycle starts over. Goldman Sachs recently predicted prices would drop again to $45 per barrel. Related: China To Create An Oil Supermajor Twice The Size Of Exxon? More likely is oil trading within a band of about $50 to $70 per barrel. As mentioned above, that is not necessarily a good scenario for oil drillers, as many are dangerously close to not breaking even at those prices. On the other hand, such a scenario is good for businesses and consumers not in the oil industry, as a renewed round of drilling taking place with $60 oil likely means the world will be well-supplied, reducing the risk of a price spike. US shale producers, while not totally mimicking OPEC, may act as a sort of collective swing producer, ramping up to supply oil when needed, and cutting back when prices drop too much. Supply cutbacks will come on the shoulders of higher cost producers. Bernstein Research published a recent analysis, which identified at least 22 oil companies that are now in a distressed financial position, even with oil prices rallying above $60 per barrel since March. These companies account for $33 billion worth of assets and around 239,000 barrels per day in production. More than half of these troubled companies are in the US and Canada, the rest are located in South America, Europe, and Asia. Oil prices may not be high enough for these companies to make it, but as is always the case, what happens next with oil prices is unknown. Over the weekend, the internationally recognized Libyan government bombed an oil tanker that was anchored at a port controlled by the Islamist government in Tripoli. Carrying 30,000 liters of light fuel, Bloomberg reported, the tanker was set ablaze as it tried to offload its cargo in Sirte. The airstrike apparently came as the Libyan military, controlled by General Khalifa Haftar, thought that it was carrying enemy fighters. The news is just the latest piece of evidence pointing to a long, violent conflict that will not end in the near future. Libya’s oil output is down to just 400,000 barrels per day, about one-fourth of its pre-war total. ExxonMobil reportedly hired a consulting firm to stay abreast of the latest details emerging from the Iran negotiations. The Texas-based multinational has been blocked from doing business with Iran for many years, but if a deal over Iran’s nuclear program is signed, leading to a historic thaw in relations with the west, then there is an opportunity for private oil companies to finally enter the Iranian market. Iran has some of the largest oil and gas reserves in the world, many of which have not been developed. For companies that are finding it difficult to book and develop new sources of oil, Iran is enormously attractive. The main obstacle, however, is western sanctions. ExxonMobil is understandably eager to see the sanctions regime lifted, but it responded to media reports of its hiring a lobbying firm, denying that it is pressuring the US government to make a deal. The company might just be doing its homework on the ongoing negotiations, as any leg up on its rivals in terms of opportunities in Iran would be very useful. Finally, a Chinese nuclear company is set to go public, and its IPO could be China’s biggest in half a decade. More than $2 billion could be raised for China National Nuclear Power Corp., which is owned by the government. It has several new nuclear power projects for which it will use the new funding. Unlike much of the rest of the world, China is still one of the few places where nuclear power is still growing.